Folks, we definitely have a very special treat for you today. We are incredibly privileged and blessed to be speaking with one of the true spiritual masters and teachers of our time. If you haven’t heard of Dr Gabriel Cousens then I would be very surprized indeed. 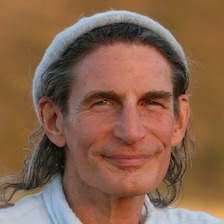 He is the author and co-author of 8 bestselling books (soon to be 9)… “Conscious Eating”, “Spiritual Nutrition”, “Rainbow Green Live Food Cuisine”, “There Is a Cure for Diabetes”, “Creating Peace by Being Peace”, “Torah as a Guide to Enlightenment”, “Tachyon Energy” and “Depression Free for Life”. Dr Cousens is also founder and director of the amazing Tree of Life Rejuvenation Center and Tree of Life Foundation. He is a dedicated and much loved holistic physician, homeopath, psychiatrist, family therapist, Ayurvedic practitioner and Chinese herbalist, along with being a leading diabetes researcher, ecological authority and spiritual master. Dr Cousens is considered a world expert on spiritual nutrition and live-food veganism and is also one of the pioneers of the raw food movement. The truth is Dr Cousen’s resume and list of achievements are just way too long to list here... they really are. So we recommend you take the time to click on this link and read his history and bio in full. It’s very impressive indeed! Before we begin our interview I would like to firstly say to every person reading this… you really need to listen very intently to everything this man has to say. Dr Gabriel Cousens is one of the most selfless human beings and humanitarians on the planet. He is dedicated to not only positively changing people’s lives spiritually, mentally and physically, he is also dedicated to saving mother earth and all of her inhabitants. His integrity is without question, as is his incredible knowledge and wealth of experience. I founded Tree of Life Center US to support and inspire holistic lifestyle through education and experience. The center’s spiritual guidance, lifestyle education, and medical programs are complemented with panoramic mountain views and 100% organic, live-food that have drawn guests from over 100 countries since 1995. One of the most unique and valuable aspects of the Tree of Life is that it provides a complete immersion into holistic living. Every facet of daily life is aligned with the purpose of nurturing health, harmony, and spiritual growth and provides a complete experiential education in holistic living. Our café allows you to eat in a way that supports your enduring radiant health and nurtures harmony with your body, mind, spirit, and the ecology of the living planet. Daily group meditation and spiritual programs aid in quieting the mind and offer a time for spiritual inquiry while allowing you closer access to the joy, peace, and meaning that is your essential nature. A supportive culture and knowledgeable staff allow every interaction to be a learning experience and one that encourages your intentions of health, harmony, and spiritual growth. Our spa and shop offer treatments and products that are recommended and utilized daily by individuals with years of experience and an unwavering commitment to holistic health. Daily yoga, qigong, or other movement classes expand consciousness and increase life force energy. An assortment of classes and activities, such as live food prep, lifestyle support, sprouting, and creating healing intentions, assist guests in learning holistic lifestyle practices in a real and applicable way so that you can take these practices home with you. The Center spreads across 180 acres of land, nestled within the pristine natural setting of the Mountain Empire of Patagonia, Arizona. Designated as the 4th highest quality of air in the country, our rural high desert environment provides the ideal context for healing and spiritual connection. 2. 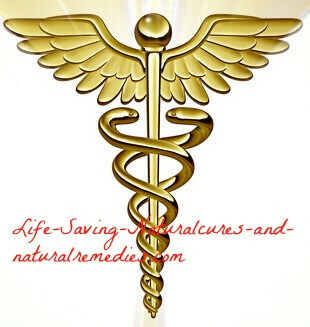 Dr Cousens you also have an amazing foundation, the Tree of Life Foundation (www.treeoflifefoundation.org). Would you mind telling us a bit about this and how people can even get involved and donate to this wonderful cause? Firstly, I founded Cousens’ School of Holistic Wellness, which includes a 2-year master’s degree program in Vegan & Live-Food Nutrition (Spiritual Nutrition Mastery) and the Modern Essene Priesthood program; featuring several on-campus training programs in spiritual development, food preparation and more! These are all designed to inspire a true awakening of consciousness and to bring about enlightened living and the realization of ones divine purpose in service to our planet, our community and ourselves. Students receive life-enriching tools and information that, with application, can be used to transform the lives of others and yourself and to bring peace to the world. Secondly, through the humanitarian outreach work, we are creating eco-health-holistic communities whose purpose is to improve the quality of life in both rural and urban centers in terms of diabetes prevention and treatment, as well as overall social and economic development as part of the planetary shift in evolving consciousness. We and our other partners are developing templates for local, district, regional, and national programs based on our diabetes prevention, health education, and screening programs. We are creating a unified model of transformation and healing for the planet. These programs, currently active in Mexico, with immigrant farm workers in Arizona, and several locations in Africa, are supported by our micro-business, organic, veganic, farming programs with individualized programs for local community development. They include clean water irrigation systems, recycling programs, and local micro-businesses in general, which support diabetes prevention, overall individualized rural community development, and ultimately support health on all levels in the urban areas. This is a workable, multi-faceted community model that is scheduled for development and expansion over a ten-year period. Thirdly, our peace work consists of the Peace 21 Worldwide Meditation, the Peace Everyday Initiative, and the Modern Essene Priesthood. Peace 21 was founded in 1984 and is an international, non-profit, non-denominational network of peace workers who meditate and create a thought form for peace on the Solstices and Equinoxes each season. Nearly 3.5 million people worldwide have regularly participated in this outpouring of peace since 1984. The Peace Everyday Initiative is a global, collective, daily, meditation of peace. The purpose is to unite a minimum of 8,000 people, while holding the vision of 144,000 or more people, to meditate/pray by becoming the vibration of peace for 40 minutes or more each day. The Modern Essene Way and Modern Essene Priesthood is a way of liberation that goes beyond egocentricity and ethnocentricity to a world/God-centric orientation. Fourthly, we are making every effort to educate the world about diabetes and its natural cure. Worldwide, diabetes has reached pandemic proportions. Data published in December 2006 in the International Diabetes Federation’s (IDF) Diabetes Atlas show that the disease now affects a staggering 246 million people worldwide, with 46 percent of all those affected in the 40-to-59 age group. In 2014 it may be closer to 366 million, with 100 million diabetics in India alone. Previous figures underestimated the scope of the problem, while even the most pessimistic predictions fell short of the current figure. The new data predict that the total number of people living with diabetes will skyrocket to 380 million within 20 years if nothing is done. Diabetes, mostly Type-2, now affects 5.9 percent of the world’s adult population, with almost 80 percent of the total in developing countries. The regions with the highest rates are the Eastern Mediterranean and Middle East (where 9.2 percent of the adult population is affected) and North America (with 8.4 percent affected). The highest numbers, however, are found in the Western Pacific, where some 67 million people have diabetes, followed by Europe with 53 million. My Diabetes Recovery Program is medically supervised and based on 35 years of experience of treating diabetes naturally. Of the 130 participants who have thus far participated in this program: 60% of the NIDDM Type Two Diabetics were off all oral medications after 3 weeks with FBS less than 100. 28% of IDDM Type Two Diabetics reversed their diabetes after 3 weeks with no insulin and a fasting blood sugar (FBS) of less than 100. 100% of pre-diabetics healed. Inherent in the program’s design, is the understanding that true healing is a multi-faceted process that must address medical concerns in a context that fosters one’s spiritual evolution. This includes the implementation of dietary, nutritional, and lifestyle changes in addition to exercise, meditation, and psycho-spiritual awareness training. 3. You’ve written some terrific books over the years but the one that really grabbed me was your "Depression-Free for Life". Depression is such a major problem and concern world-wide now and the mind altering medications that are being given to sufferers is a real cause for concern. You, however, advocate a holistic approach to this problem. So what does this entail? Short of writing you a book, Depression Free for Life is based on my 40 years of experience treating depression naturally. Depression effects 40 million Americans, and this number is increasing due to a variety of environmental, nutritional, social, and psychiatric stresses that people are feeling, which end up depleting the brain's functional reserves in a variety of ways. None of these can be adequately approached by using antidepressants, all of which have a stimulatory effect that makes people worse over the course of 5 years. 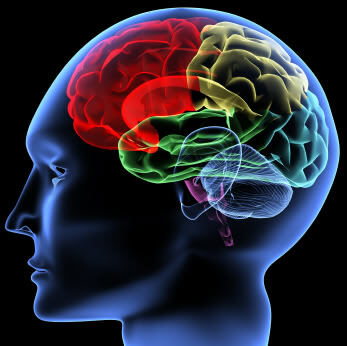 My approach is to rebuild the brain's function involving 5 steps: 1) Taking amino-acid, neurotransmitter precursors to stimulate the brain's building of neurotransmitters; 2) Optimizing basic nutritional input to give optimum support for brain function; 3) With approximately 90% of people deficient in omega-3s, we do significant replacement in building up omega-3 reserves with vegan-sourced omega-3 supplementation; 4) Vegan, live-food diet, organized to one's individual constitution, is the best, most effective diet to improve overall brain function. A live food diet is 87% effective in improving brain function over 2 years; 5) Lifestyle support makes a difference. These include exercise, social connection, creative outlets, humor, good breathing, sufficient sleep, relaxed mindfulness, and nurturing touch. This approach is 90% successful because it rebuilds the brain to optimal function as opposed to deteriorating the brain through the long-term use of antidepressants. 4. Dr Cousens, there’s no doubt that you are a spiritually in-tune human being and I have to say, your Modern Essene Mastery course looks very fascinating indeed. So when did you first learn about the Essene Archetype and what actually drew you to this teaching? I first encountered the Essene archetype as outlined by Dr. Szekely in his book Essene Gospel of Peace. For me it best exemplified how we could live as full, holistic, liberated beings in harmony with creation. My work in developing the Modern Essene Way was to link this with the essential teachings of the Essenes 4 principles... These were accepted by the various Essene groups in 1995 after I had a vision of that. In a world that has lost its moral, ethical, and spiritual moorings, the Essene archetype, as found in the teachings and the Dead Sea Scrolls, give us great insight and encouragement for how we can live as awake beings on the planet, transforming ourselves and the planet into awakened peace and health. 5. Now, you have a wonderful online store that really does stock some the highest quality supplements and foods we’ve ever come across… and they’re all very reasonably priced as well! At the moment there seems to be a lot of shonky health food companies and suppliers out there, and quite frankly, it’s hard to know who to trust. So is this the reason why you started your own online store, to give people the chance to purchase supplements that you know are the best available and you are happy to put your name to? Dr. Cousens Online Store was developed because there was a need for trustworthy nutritional supplements. I have surveyed the whole field and only work with people I personally know and trust. We monitor the quality and feel assured with the superiority of these supplements. We have the personal integrity of these companies owners behind them. Our online store offers the best quality and takes us beyond the superficial labels of organic and natural purity. 6. Dr Cousens, your Peace Every Day Initiative is truly inspiring. Would you mind telling our readers a bit about this and how they can get involved in this life-changing and world-changing project? The Peace Every Day Initiative is supported by 175 organizations. It is simple. We ask people to meditate for even just a minute a day with the frequency of peace. You can be involved by simply doing it. We are no longer registering individual organizations, but are inviting individuals to do this. 7. There’s little doubt that we are in the midst of a shocking diabetes epidemic world-wide, and your book “There is a Cure for Diabetes” would have to one of the most informative books I’ve ever read on the subject (and I strongly recommend everyone take the time to read it, whether you have diabetes or not). But according to the medical profession, diabetes is not actually “curable” and if you have it then you need insulin or medication for the rest of your life to control it. So what do you say to this? The reason I wrote There Is a Cure for Diabetes was to directly contradict and state… "There Is A Cure". The real power of my work is that the cure actually occurs in just 3 weeks. This has happened with the last 120 people I’ve worked with. Although the first cured case of diabetes occurred in the 1920s by Max Gerson and Albert Sweitzer, my work differs in that I have developed a comprehensive holistic system for healing that can occur in just 3 weeks. The allopathic (conventional) model only manages diabetes. They don't have the background to design programs that actually heal. The ADA says it is still ok to consume all kinds of junk food as long as one takes insulin. They draw the conclusion that diabetes is incurable based on their faulty approach to the disease. The fundamental cause of diabetes is an epigenetic downgrade that disorders leptin and insulin signalling. The cure is a program that restores proper signalling. This happens in Type-2’s in as little as 3 weeks. In the future I hope to procure funding for research submittable for Journal level publication. More importantly, I want people to know that diabetes is totally preventable. I have 13 programs worldwide specifically designed to prevent the occurrence of diabetes, as it is a disease of a degenerate world society who are addicted to eating white flour, white sugar, and junk food. These programs encourage people to return to the natural ways of eating and living. It’s interesting to note that these societies had little incidence of diabetes until the 1920’s. 8. Well Dr Cousens, I’ve come to my last question. But before I give it to you I would like to take this opportunity to say a very big “thank you” once again for speaking with us today and answering our questions. We really do appreciate it and it’s been so enlightening and informative. We would also like to take this opportunity to encourage all of our readers and followers to check out Dr Cousen’s excellent website www.treeoflifecenterus and his treeoflifefoundation. You can also find Dr Cousens on Facebook, Twitter and Pinterest by clicking on the relevant links. So finally, I would like to ask you what you have planned for the immediate future. Are there any upcoming projects or programs that you might like to share with us? I am currently co-writing a book on conscious parenting that will support parents raising children in holistic households. Our programs at Tree of Life Center Us and Tree of Life Israel are ongoing, and we continue to see lives transformed. Wow! Can’t wait for the new book Dr Cousens. Thanks again and all the best.